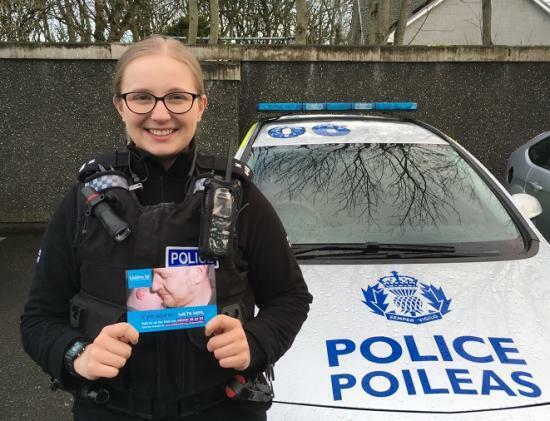 Caithness families will get greater access to support thanks to a new partnership between Police Scotland Highland and Islands Division and Children 1st's Parentline service. Local police officers responding to incidents involving children are letting their families know about the ongoing support that Parentline offers via phone, email, text and online webchat. In December officers in Wick received briefings from Children 1st's Parentline team about the service and the support it provides. As well as telling families about the service, officers are also giving out postcards and other information about how to contact Parentline, if families choose to do so. Alan Forgie, Children 1st Parentline Team Leader said: "We want families in Caithness to know that Parentline is here, if you need us, through this crucial partnership. "Families say to us that living in a rural area can make it harder to talk about issues or find support. Some have said that Parentline is a lifeline. Whatever it is that affects your family, you can talk it over, in confidence, with Parentline. We're here by phone, webchat, email or text - wherever you are. Whatever is happening, Parentline is here to listen." Detective Chief Inspector Vince Mclaughlin, chairman of the Highland Child Protection Committee, said: "There is a longstanding understanding between Children 1st and Police Scotland having worked together successfully in the Highlands and Islands for a number of years. "This is a great opportunity to build on that relationship and provide access to support for families and children in crisis. This is an innovative initiative which offers a digital support service designed to support families and children experiencing a range of difficulties. "The Highland Child Protection Committee is committed to working in partnership for children, families and young people to protect children and prevent harm. The committee is fully supportive of the initiative in Caithness and urges anyone who needs help to make use of Parentline." Chief Inspector Iain MacLelland, North Highland area commander, said: "We are pleased to be working with Children 1st in Caithness and would encourage anyone who needs support or advice to contact Parentline for help. "This can be for anyone needs some additional support or advice. "We are very aware that living in a rural area can lead to a feeling of isolation and not knowing where to turn for support. This innovative partnership is designed to ensure this is not the case." A parent who spoke to Parentline said : " "Even though I was upset by my situation the person who listened managed to point out some positives. Parentline were my initial sounding board which made things clearer and allowed me to take action for my daughter. I would definitely recommend." Parentline is provided by Children 1st, Scotland's national children’s charity, with support and thanks to players of People’s Postcode Lottery.